The best source for historical, technical, and rebuilding information available on the popular Ford Y-Block. Detailed photographs and illustrations accompany the easy to follow tear-down and assembly instructions. Includes full specifications, parts numbers, service bulletins and more. 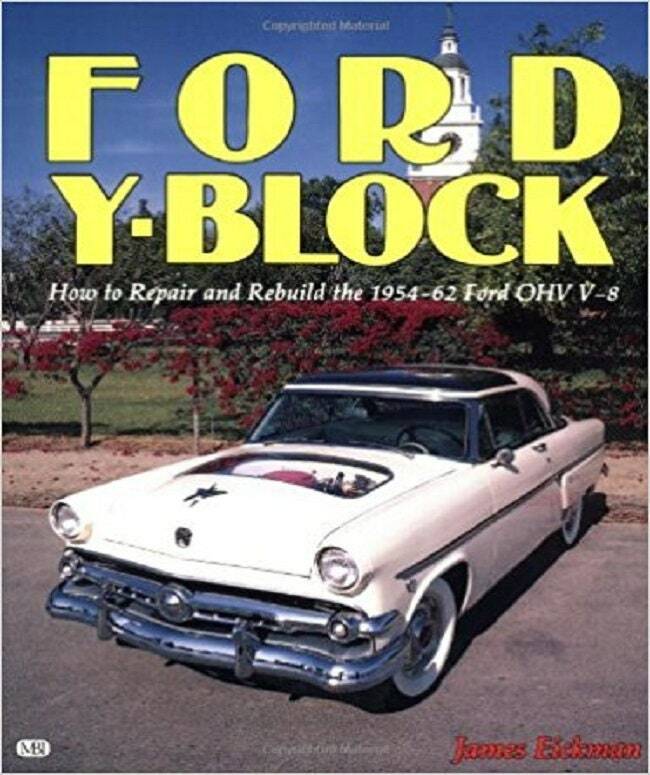 Subtitled: How to Repair and Rebuild the 1954-62 Ford OHV V-8. The best source for historical, technical, and rebuilding information available on the popular Ford Y-Block. Detailed photographs and illustrations accompany the easy to follow tear-down and assembly instructions. Includes full specifications, parts numbers, service bulletins and more. Sftbd., 8 1/2x 11, 12 pgs., 16 ill.